The Terry Schwarzfeld Ottawa Daycare (Acco), opened in 1964, is one of six that CHW supports. 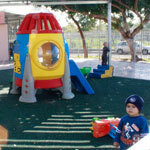 Currently, the daycare provides daily care to over 57 children, in three classrooms. The children come from a variety of backgrounds. However, some of the children are at the daycare through a welfare referral program, as their families are in desperate need of this assistance. The daycare offers a dedicated and well-trained staff of twelve who provide guidance and care to the children in a nurturing and enriching environment. At the daycare, children participate in afternoon art classes. 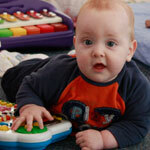 The Terry Schwarzfeld Ottawa Daycare also provides home support services. A team of professionals – a psychologist, an occupational therapist, and speech therapist – works individually with children (and their families) who have learning disabilities and/or behavioral issues. The team assists with cognitive, motor, emotional, and psychological issues establishing a treatment plan, providing the necessary preparation for the child’s future.